Prof. Kotzab received his PhD and a postdoctoral degree from the Vienna University of Economics and Business Administration and prior to that, obtained a MBA in Marketing andManagement from the same institution. Prof. Kotzab lectures at undergraduate, graduate and post-graduate levels in marketing, logistics and supply chain management. 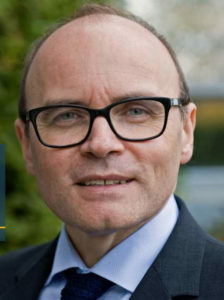 Prior to his assignment in Bremen, Prof. Kotzab held a position as Professor at the Copenhagen Business School, Department of Operations Management. In 1998, Prof. Kotzab was Visiting Scholar at the Center for Transportation Studies at the Massachusetts Institute of Technology. His research focuses on supply chain management as a critical success factor for a firm’s performance, e-enabled supply chain management, service operations and consumer driven value networks. Prof. Kotzab published over over 300 publications in leading journals such as Journal of Business Logistics, The International Journal of Physical Distribution and Logistics Management, Industrial Marketing Management, European Journal of Operational Research, Production & Operations Management (POM), Supply Chain Management: An International Journal, Electronic Markets, Journal of Business and Industrial Marketing, Industrial Management and Data systems, chapters in books, conference proceedings and non-refereed journals. He has lectured and offered executive education programs in close cooperation with the J.L. Kellogg Graduate School of Management, INSEAD, European Business School, ETH Zurich, ESCCA Angers and the University of St. Gallen as well as provided logistics consulting services to a number of international companies and the Austrian Efficient Consumer Response Initiative. He has also been a frequent speaker and session chair at leading academic and practitioners conferences in the field. Prof. Kotzab is a member of the scientific board of the German Logistics Association (BVL). He is also a member of the Editorial board of the Journal of Marketing Channels, the International Journal of Physical Distribution and Logistics Management and since 2013 the editor-in-chief of Logistics Research. Univ.-Prof. Dr. rer. pol. habil. 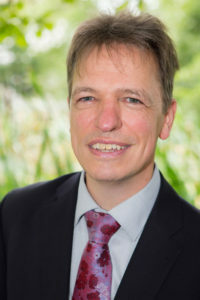 Stefan Seuring is full professor of supply chain management at the University of Kassel, Germany. Stefan is one of the globally leading authors on sustainable supply chain management, but also covers topics on supply chain strategy and the application of management accounting tools across supply chains. So far he successfully supervised 18 PhD students. In 2016, Stefan Seuring was listed among the 27 globally most-influential researchers in logistics and supply chain management by a panel of French Researchers. Stefan has collaborated interdisciplinary in research project with colleagues from agriculture, engineering and political sciences..
His papers have appeared e.g. in Journal of Cleaner Production, International Journal of Production Economics, Supply Chain Management – An International Journal, Journal of Business Ethics, International Journal of Operations and Production Management. 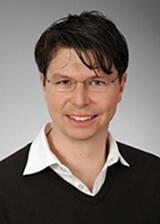 Prof. Dr. Alexander Hübner is Professor of operations management at Catholic University of Eichstätt-Ingolstadt, Germany. Prof. Hübner’s research and teaching interests are in supply chain planning, multi-channel logistics, assortment and inventory management, network planning and stock replenishment, service and health c are operations. He has published articles in leading operational and retailing journals, including European Journal of Operational Research, International Journal of Retail and Distribution Management, Operations Management Research and Omega. His book Retail category management: Decision support systems for assortment, shelf space, inventory and price planning, published by Springer is leading title in the field of retail shelf space management. Priror to receiving his doctorate, he worked for McKinsey & Company, and has consulting experience for Audi AG.